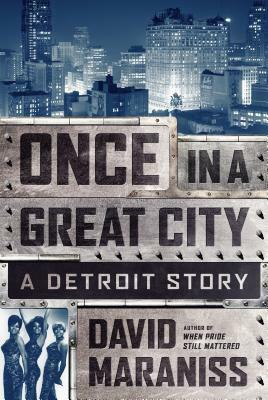 As David Maraniss captures it with power and affection, Detroit summed up America's path to music and prosperity that was already past history. It's 1963 and Detroit is on top of the world. The city's leaders are among the most visionary in America: Grandson of the first Ford; Henry Ford II; influential labor leader Walter Reuther; Motown's founder Berry Gordy; the Reverend C.L. Franklin and his daughter, the amazing Aretha; Governor George Romney, Mormon and Civil Rights advocate; super car salesman Lee Iacocca; Mayor Jerome Cavanagh, a Kennedy acolyte; Police Commissioner George Edwards; Martin Luther King. It was the American auto makers' best year; the revolution in music and politics was underway. Reuther's UAW had helped lift the middle class. The time was full of promise. The auto industry was selling more cars than ever before and inventing the Mustang. Motown was capturing the world with its amazing artists. The progressive labor movement was rooted in Detroit with the UAW. Martin Luther King delivered his "I Have a Dream" speech there two months before he made it famous in the Washington march. "Once in a Great City" shows that the shadows of collapse were evident even then. Before the devastating riot. Before the decades of civic corruption and neglect, and white flight. Before people trotted out the grab bag of rust belt infirmities--from harsh weather to high labor costs--and competition from abroad to explain Detroit's collapse, one could see the signs of a city's ruin. Detroit at its peak was threatened by its own design. It was being abandoned by the new world. Yet so much of what Detroit gave America lasts.